Permaculture was developed in the 1970’s by Australians Bill Mollison and David Holmgren in a response to soil, water and air pollution by industrial and agricultural systems; loss of plant and animal species; reduction of natural non-renewable resources and a destructive economic system. 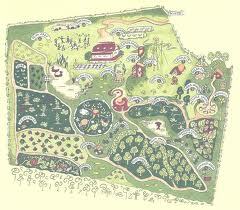 Permaculture is based on the study of inter-relationships and interdependence of living things and their environment. The permaculture gardening method is definitely one to consider if your goal is to create a simple, non-polluting home and grow your own food, repair and build up the soil and care for natural vegetation.